AP PGECET Results 2019: Candidates who appeared in AP PGECET exam successfully will be able to check their result Online. On the basis of candidate’s performance in the exam selection will be done. Here we have shared the complete information to help you so that you can reach out to your result. Results are expected to be released after 1 week of the date of examination. You may check the Result Releasing month in the table mentioned below. We will provide the actual AP PGECET Results Date after getting official notifications. Follow the step by step procedure to download the AP PGECET Results/ Rank Card. Click on ‘View Results’ option available there. Enter Registration no & PGECET Hallticket no and then click on ‘View Result’ button. Your AP PGECET Result will appear on your computer screen. Candidates can also get their AP PGECET 2019 Rank Card by entering their hall ticket number, registration number & date of birth. Andhra University and other participating colleges will decide some passing criteria to clear the exam. Those applicants who will satisfy the minimum required score i.e. Cutoff they will be able to take part in the next admission procedure. It will be different for different courses. So you have to satisfy the passing criteria of your course only. 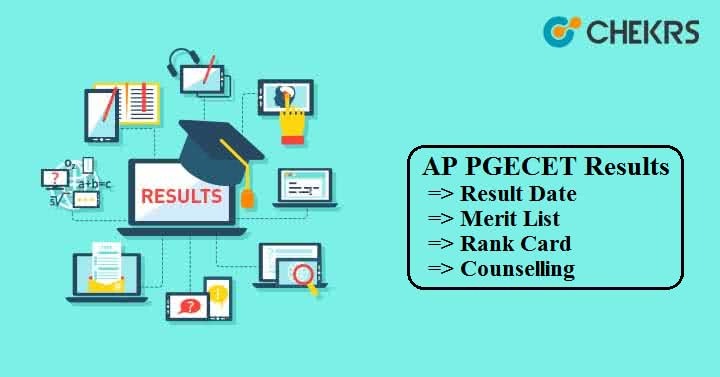 After the result declaration, a separate AP PGECET Merit List will be published which will list the name with the rank of qualified candidates. Every eligible candidate will be invited for counselling on the basis on their rank. All eligible and qualified candidates will be called for the counselling process. Those who will apply through GATE/ GPAT exam will be preferred first. After allotment of seats to GATE / GPAT candidates, the remaining seats will be given to AP PGCET qualified candidates. Counselling for GATE and AP PGECET candidates will be scheduled on different dates. Students will have to register for counselling and then fill the option form to select colleges & streams of their choice. The authorities will verify the required document and then allot the seat as per their merit rank and seat availability. Candidates who fail to attend the AP PGECET Seat Allotment round, they will not be considered for admission and their seat will be offered to other qualified aspirants. Still, do you have queries related to AP PGECET Result 2019 then leave your message in the comment box below. We will respond to you very soon.